When people imagine what their daily lives will be like with robots, many take inspiration from sci-fi novels, television shows, and films with high-spirited characters like R2-D2 from "Star Wars," and Rosie in "The Jetsons." Instead, the closest the world has come in the quest for affable, useful home robots are puck-like vacuum cleaners and lifeless cylindrical talking speakers. That's about to change. 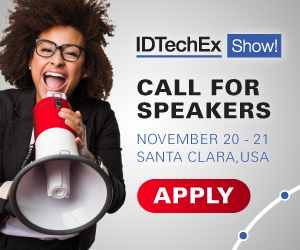 For more information see the IDTechEx report on mobile robots and drones. Anki, the consumer robotics and artificial intelligence company made up of top roboticists, film animators, engineers, and game designers, is bringing the sci-fi future one step closer to reality with the announcement of Vector, its first home robot with personality. Fully autonomous, cloud-connected, and always-on, Vector represents a major leap for consumer robotics by bringing accessibly-priced, life-like robots to millions of homes. Vector is available for preorder in the US on Kickstarter and backers will have early access to their robot on October 9, in addition to receiving a special Kickstarter price and various exclusive backer rewards. Vector will be in stores on October 12. "For over five years, Anki has brought together a team of experts across various fields to create the world's first affordable, character-rich robot capable of surprising and delighting humans," said Boris Sofman, CEO and co-founder at Anki. "Vector is the culmination of everything we've learned in this journey so far, and a bold next step in our vision for entertaining and purposeful robots in every home, everywhere. Today marks the starting point in an overall expansion for our robotics platform and how we combine the latest technologies in robotics and artificial intelligence with our novel approach to character and interface. For the first time, people will be living with a robot that is able to bring both a warm and joyful experience, as well as a new and characterful form of utility. This builds a bridge not just to a new category of home robots, but our own future product lines that will continue to expand on the level of capabilities that are possible." Vector is a robot with personality who is aware of his surroundings through touch, sight, and sound. Anki describes Vector as an extension of your family who is excited for you to walk in the door each day. And because he's cloud-connected and able to self-update, he's always getting smarter and adding new features. Fully autonomous, cloud-connected, and always-on. Becomes smarter over time thanks to over-the-air (OTA) updates. High-res color IPS display. With around a thousand animations in Vector, he reacts to his environment in a way that's not only full of personality but also meaningful. He even responds to human touch, thanks to the capacitive touch sensor built on his back. Tapping into the Ask Vector feature, he'll provide instant answers to factual questions about real world people, places, and things. Ask him for the weather before you head out for the day or set a cooking timer with him. You can even ask him to take a picture and he will intelligently frame the shot by recognizing the faces in it. You can prompt him to play a game of Blackjack and he'll even use his accessory Cube to play a handful of games with you. If he hears music, he may even dance to the beat. Vector's brain is built on a Qualcomm Technologies' platform which provides the connectivity, computing, camera, and on-device AI capabilities that Vector needs to be smart, approachable, and autonomous - without having to be tethered to a phone or requiring a permanent cloud connection. Learn more here. Outfitted with an HD camera with 120° ultra-wide field of view that allows him to see the world, recognize people in the room, as well as learn the names of people he sees. Vector uses an array of four microphones to hear and detect commands from you and your family and friends around the home. Just say "hey Vector " to get his attention and voice a command. When low on energy, he can locate and roll back to his charger. He is also equipped with four cliff sensors, which are infrared (IR) emitters situated under the corners and there to prevent Vector from falling off edges. "Vector is spearheading a transformation in consumer robotics using Qualcomm Technologies' innovations in heterogeneous compute, camera, A.I., security and connectivity which allow for very small devices with exceptional intelligence, thermal efficiency, and battery life," said Dev Singh, director of business development, robotics, Qualcomm Technologies, Inc. "We are pleased to support Anki on its journey to evolve robots - going from utilitarian machines into smart, friendly, and relatable companions that will bring joy to many people's lives." "Our mission is now to apply the technology we've developed within the entertainment industry to create a future where humans and intelligent, general-purpose robots can live in a mutually beneficial way," added Sofman. At launch, Vector will retail for $249.99 and ship with one base charger and one interactive Cube. While Vector is fully autonomous and always-on, a smart device running the companion app (available on iOS and Android) is required for initial setup.